When Toyota elected to shut down its youth-market-oriented Scion division last year, the company had to do a bit of name shuffling. The Scion name was dropped after the 2016 model year, but three Scion models—the FR-S sporty coupe, the iA subcompact 4-door sedan, and the iM compact 4-door hatchback—live on with new names as Toyota models. The FR-S became the 86, the iA became the Yaris iA, and the iM became the Corolla iM. The Corolla iM’s thick rear roof pillars impede a bit on rearward visibility. 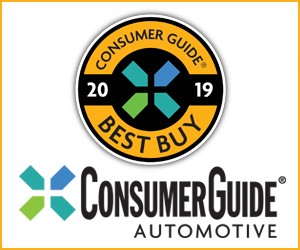 In addition to its new name, the Corolla iM gets the Toyota Safety Sense suite of features—which consists of a pre-collision system, lane-departure warning, and automatic high-beam headlights—as standard equipment. Other than that, and replacing all of the Scion badges with Toyota badges, the car is basically unchanged. Despite the switch to the Toyota nameplate, the iM sticks to the Scion single-model philosophy. The only factory option is transmission choice—either a 6-speed manual or a continuously variable automatic transmission (CVT). Dealer-installed optional accessories include all-weather floor mats ($79), rear cargo-area mat ($79), rear hatch spoiler ($399), and a display audio system with navigation ($900). The new-for-2017 safety features nudge the automatic-transmission Corolla iM’s base price up past the $20K mark, but it’s still a competitive deal when you factor in the generous list of standard equipment. 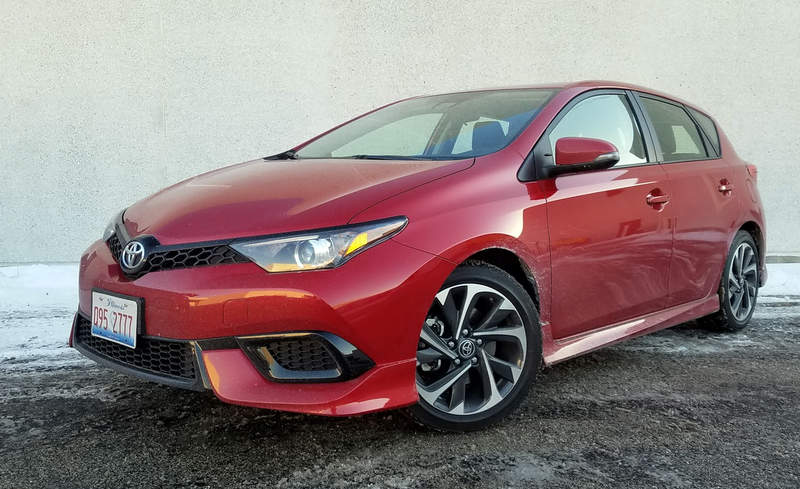 You can check out our reviews of the essentially identical 2016 Scion iM with automatic transmission here and with manual transmission here. 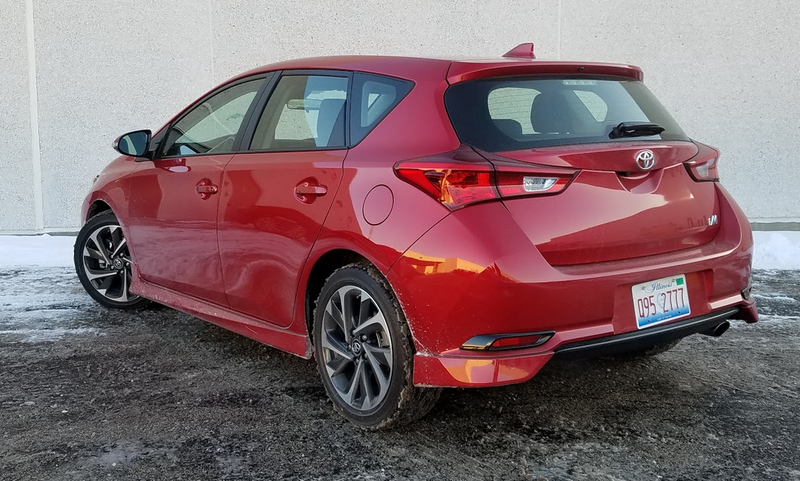 Our average fuel economy of 27.2 mpg in the Corolla iM was worse that the 30.1-mpg average we achieved in the automatic Scion iM we tested last year, but that difference is at least partially attributable to the extra-cold temperatures during our winter test period with the Corolla iM. The demise of the Scion division was not a big surprise to most seasoned observers of the automotive industry. Having more or less fulfilled its initial purpose of bringing younger buyers into the Toyota family (primarily via the boxy, surprisingly practical xB and the affordable, pseudo-sporty tC coupe), the Scion brand seemed to outlive its reason for being. 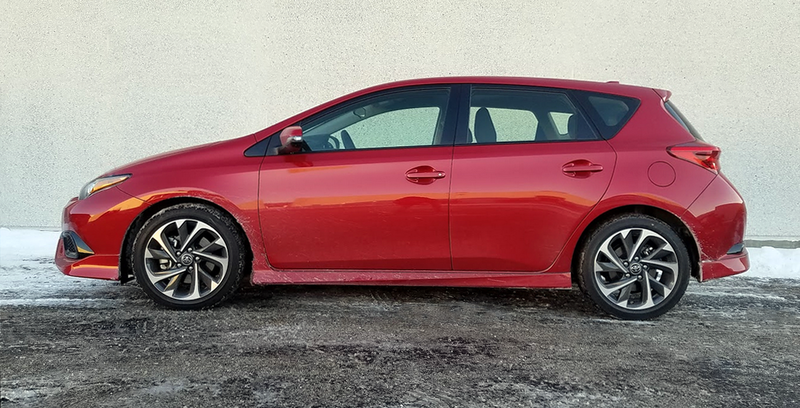 Though the Corolla iM and the Yaris iA retain their Scion-specific bang-for-the-buck standard-equipment philosophy and single-model lineups, both cars make just as much (if not more) sense as Toyotas as they did as Scions. The Corolla iM has a sporty-yet-practical profile. Aggressive-looking 17-inch alloy wheels and “ground effects” body-side sills are standard equipment. A rear-hatch spoiler (not shown) is available as a dealer-installed option. Written by: The Daily Drive staff on March 24, 2017.on December 11, 2017.